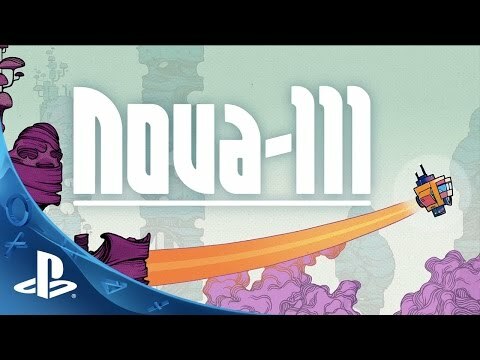 NOVA-111 is a sci-fi themed turn-based adventure game with a real-time action twist. Explore alien worlds and combat fiendish alien creatures in your quest to restore the flow of time, all in the name of SCIENCE! Pilot your trusty vessel through mysterious and foreign planets in this original sci-fi adventure. Your mission: fix space-time and search out the scientists lost in the aftermath of the Universe's greatest experiment. Aided only by your trusty (if somewhat sandwich-obsessed) guide, you must repair the temporal vortex! Navigate mind-warping puzzles and engage in strategic battles with bizarre astrobiological creatures in a twisted environment where the turn-based world and the real-time world collide. As you progress through three distinct worlds, you'll need to protect yourself by collecting new abilities and upgrade modules for your ship, but remember, your greatest weapon is SCIENCE itself! Nova-111 ™ and © 2015 Funktronic Labs. Licensed by Curve Digital.